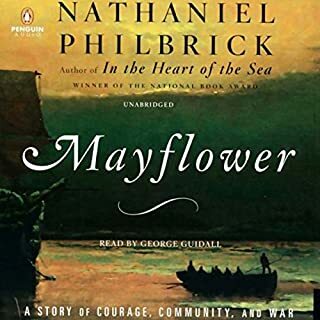 The voyage of the Mayflower and the founding of Plymouth Colony is one of the seminal events in world history. But the poorly equipped group of English Puritans who ventured across the Atlantic in the early autumn of 1620 had no sense they would pass into legend. They had 80 casks of butter and two dogs but no cattle for milk, meat, or ploughing. They were ill prepared for the brutal journey and the new land that few of them could comprehend. A devout Puritan minister in 17th-century New England, Roger Williams was also a social critic, diplomat, theologian, and politician who fervently believed in tolerance. Banished from Massachusetts Bay Colony in 1635, Williams purchased land from the Narragansett Indians and laid the foundations for the colony of Rhode Island as a place where Indian and English cultures could flourish side by side, in peace. 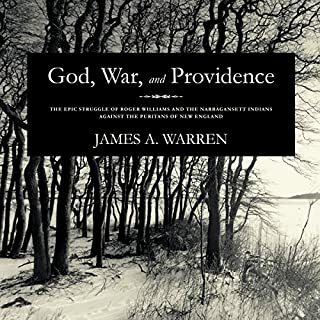 James A. Warren tells the remarkable and little-known story of the alliance between Roger Williams's Rhode Island and the Narragansett Indians, and how they joined forces to retain their autonomy and their distinctive ways of life against Puritan encroachment. Early american history at its finest. All Americans are familiar with the story of the Pilgrims--persecuted for their religion in the Old World, they crossed the ocean to settle in a wild and dangerous land. But for most of us, the story ends after their brutal first winter at Plymouth, with a supposedly peaceful encounter with the Native Americans and a happy Thanksgiving. What was the bloodiest war in American history? Most people with at least a little knowledge of history would quickly say that it was the Civil War (1861-65), and they would certainly be correct overall. 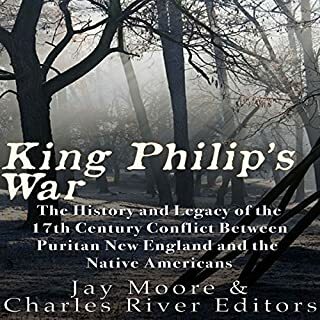 However, when historians go farther back in time and include colonial wars and look at casualties per capita, the correct answer would be the much-lesser known conflict known as "King Philip's War" (1675-76). A Narrative of the Captivity and Restoration of Mrs. Mary Rowlandson is the harrowing first-person account of one mother's struggle to survive after she and her children are attacked in their home and captured by Native Americans during the winter of 1675. 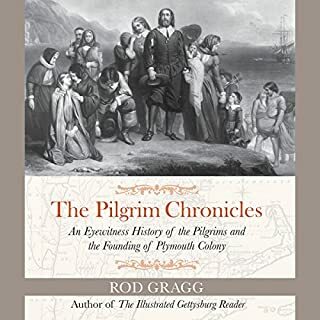 The most important and influential source of information about the Pilgrims and Plymouth Colony, this landmark account was written between 1630 and 1647. 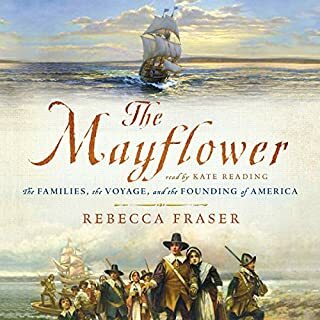 It vividly documents the Pilgrims' adventures: their first stop in Holland, the harrowing transatlantic crossing aboard the Mayflower, the first harsh winter in the new colony, and the help from friendly Native Americans that saved their lives. 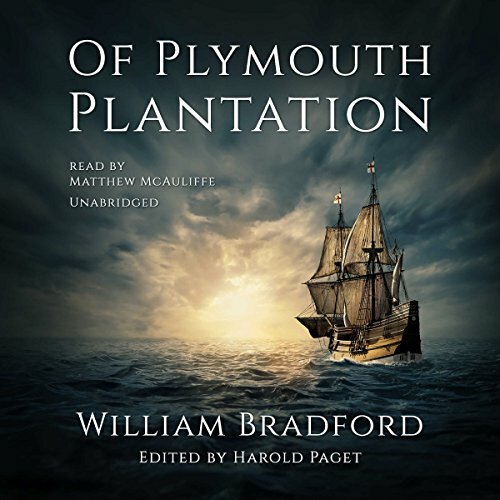 No one was better equipped to report on the affairs of the Plymouth community than William Bradford. Revered for his patience, wisdom, and courage, Bradford was elected to the office of governor in 1621, and he continued to serve in that position for more than three decades. His memoirs of the colony remained virtually unknown until the 19th century. 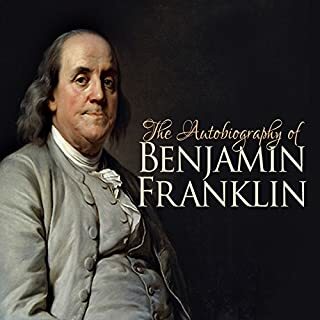 Lost during the American Revolution, they were discovered years later in London and published after a protracted legal battle. The current edition rendered into modern English and with an introduction by Harold Paget, remains among the most enjoyable books from 17th-century America. We’ve all grown up with what seem like mythological tales of the Pilgrims and the Mayflower. Turns out that many of them are historical facts. Even more, conditions those first years in New England were worse than can be imagined—over half died that first winter from disease. And being a religious community did not make them immune from devilish actions. Their backers in England charged them usurious rates and their own representatives were unreliable and venal. It’s a wonder this colony survived at all. I was happy to learn more about the New Plymouth colony. It was difficult in an audio book to keep track of the many characters and details. Nonetheless there was so much more to the colony than fifth grade history teaches us.